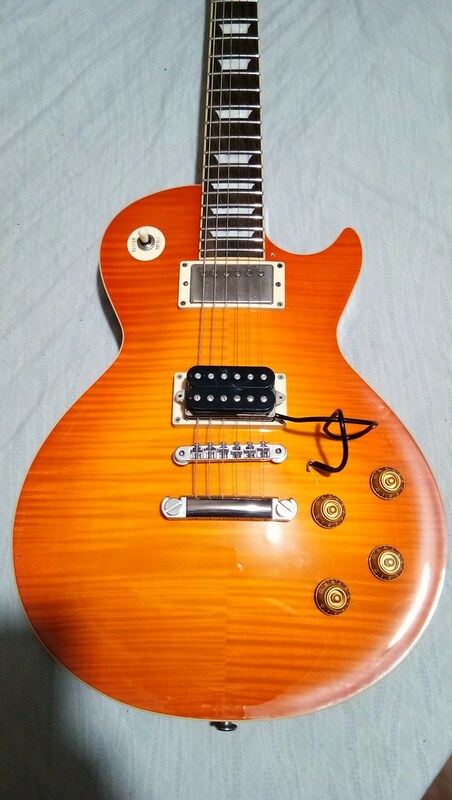 Guys, someone is selling his 2011 Les Paul Standard to me for 75k. The guitar is nearly mint condition with all the documents included. My problem is that I'm currently here in Dublin pero pauwi na ko ng Pinas after 3 months. You think this is a fair deal? I'm also taking into consideration the freight charges that I'll incur when I ship this back home. Thanks in advance! 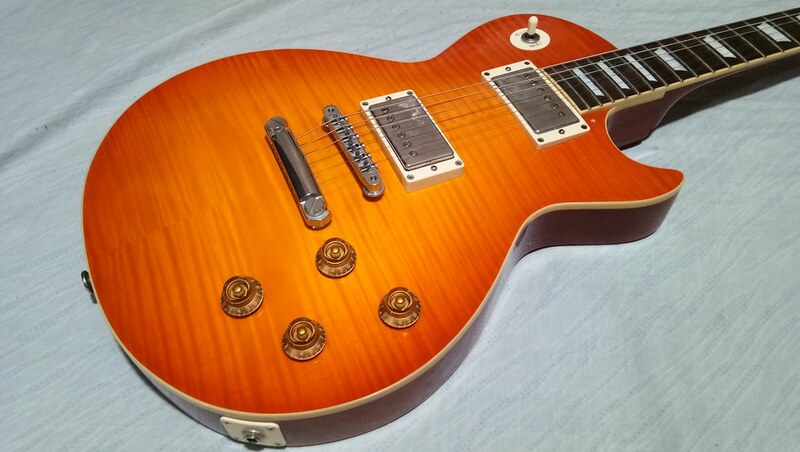 Is it figured or plain top 2011 Standard? I wouldn't pay 75K for plaintops. As for a figured one, prolly yes but depends on the top and color. Are you shipping from Dublin to Phl? I dunno how CITES works sa atin, but you may need to show a CITES certificate if you are importing/shipping the guitar from one country to another, unless i -hand carry or icheck in mo as a personal item. The rosewood ban is in effect, so iwas na lang if you can. I saw some Gibby standards sa FB classifieds within that price range, dunno if available pa, you may want to check those as well. Will save you the trouble of the CITES cert and shipping. Hey man, trying to send u a pm but your inbox is full. If you have tuners na may nut (yung de-diyes ang sukat) baka loose lang yun. You simply need to tighten it lang. temp also plays a role, although not that big naman.. kasi i remember when im playing my lps sa room ko with AC, mejo nagiiba ren tune nya once i get it out or mejo mainit. Problem lang naman tlga is if while playing it, nag oout of tune. My experience, guitars wont stay in tune tlga everytime. Even with a setup, magiiba tlga. Luckily, I was able to make it stayed it tune. I just put some pencil graphite on its nut and noticed that it rarely goes out of tune after playing or even the following day. One thing I can say is that Les Paul really sounds great! Why not, sir? No harm in trying hehe! di na pinagiisipan yan hehehe. Should be long tenon if its Edwards. What magnets do you have on the Timbre Wolfe? 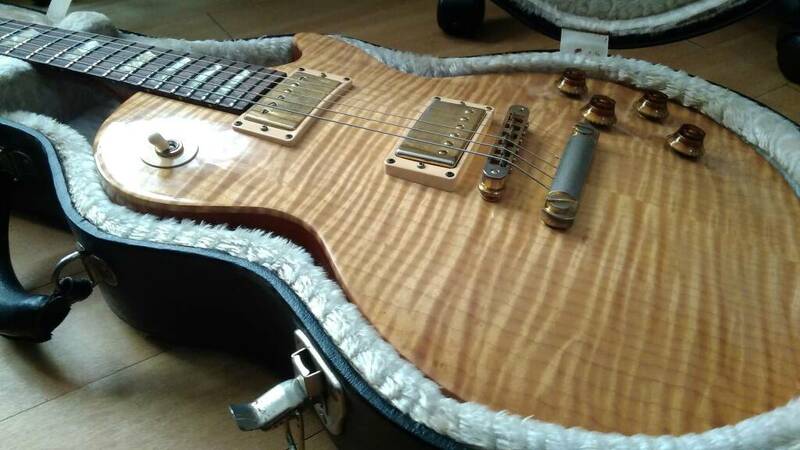 I have one on my R9 with custom A8 special request from Wolfe. Man these are great pick ups, will smoke the JB on any given day. I've heard that double-staining can limit the "movement" of flames so it looks like I've got a real keeper here! Yahoo! 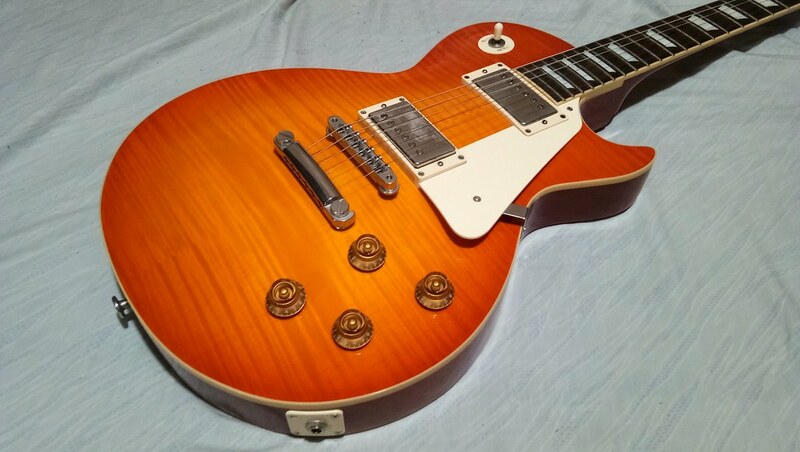 I think I have read somewhere that Gibson ceased double staining in 1999 on everything except their reissues so hopefully this is indeed not an enhanced top. 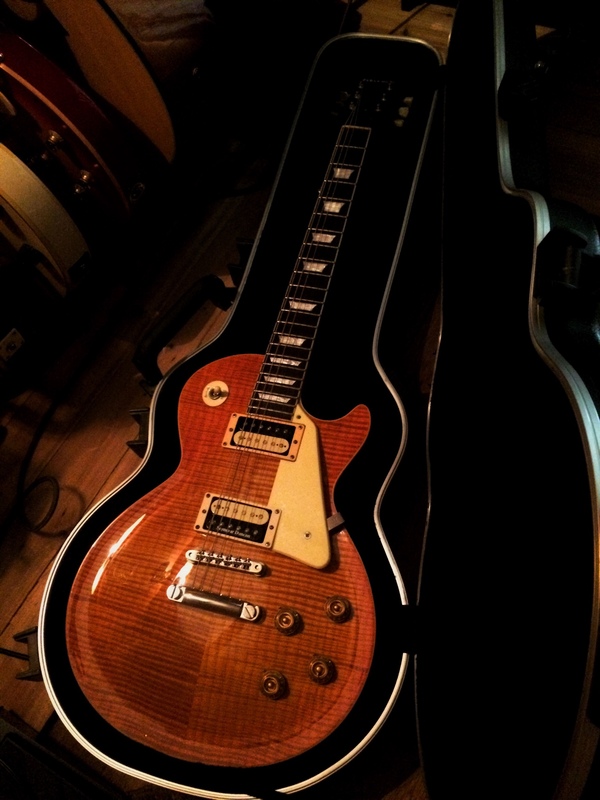 I just realized how much this looks like Paul Kossoff's stripped Les Paul. Congrats, always keep the 'guard hehe. The Timbre Wolfe cleans up well. Ask ko lang is it same tuner and tailpiece used in gibson and epiphone? Nope. 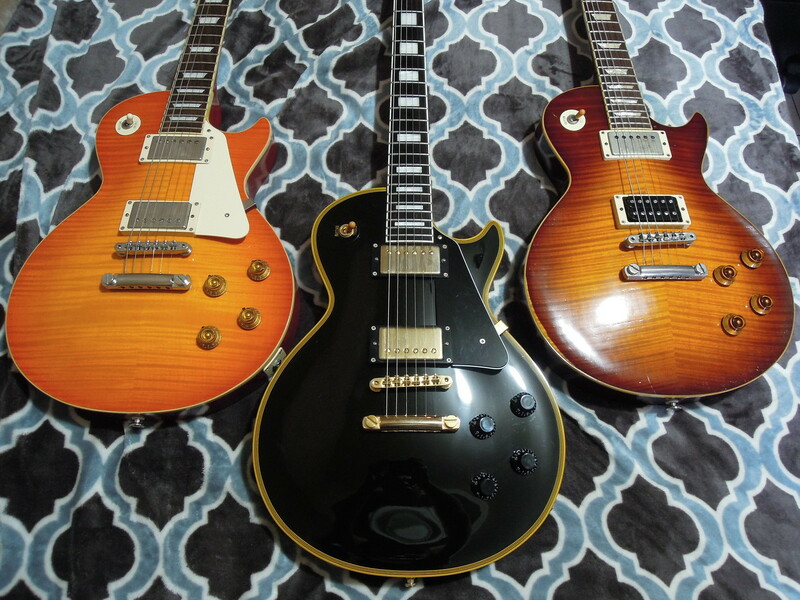 Grover and Kluson ang usual machine heads ng Gibson and Nashville-style at ABR-1 naman ang mga bridge niya. Then yung tailpiece ng Gibson iba rin ang shape sa gamit ng Epiphone. Ang Epiphone, merong may Grover tuners.. Pero yung naka Kluson, I believe "Kluson-style" lang. Yung bridge ng Epiphone ay metric na tune-o-matic. Yung tailpiece naman nya ay flatter and wider compared sa Gibson. Oic. Kala ko kasi same. 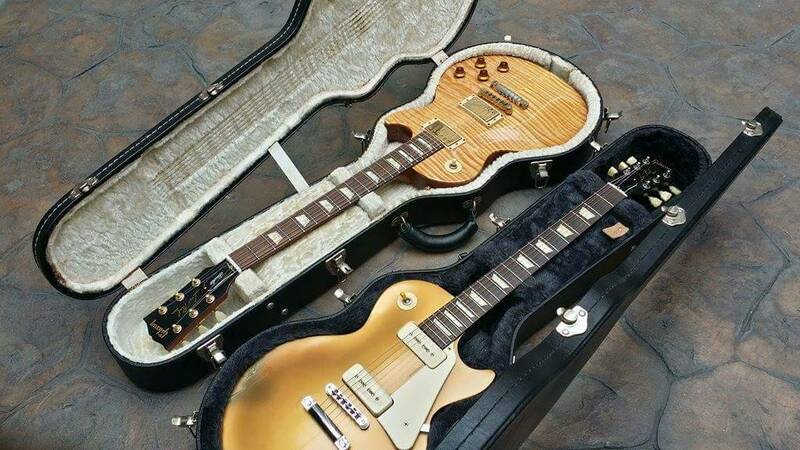 Meron kasi akong gibson na goldtop. Pero ang tuner nya is not gold. At meron akong epiphone korina sg-g400 na gold ang tailpiece at tuner nya. Same naman sila ng tuner at tailpiece. Balak ko sana ipalit yung gold tuner at tailpiece from my epiphone sg sa goldtop ko na lespaul. Decided to put the timbre wolfe on the 135als. Pwede naman sila pag palitin. 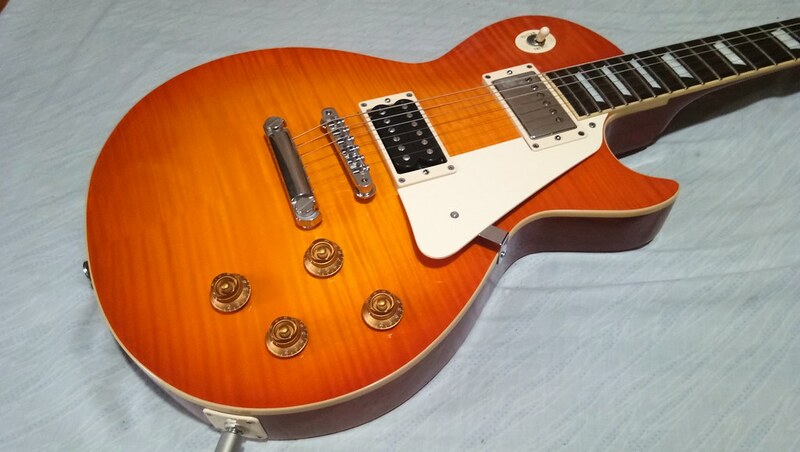 Pero if you take a closer look sa shape/look/profile nung Epiphone tailpiece, iba sya sa itsura ng Gibson. Pero if pagpapalitin mo lang, I believe magkakasya naman sila. 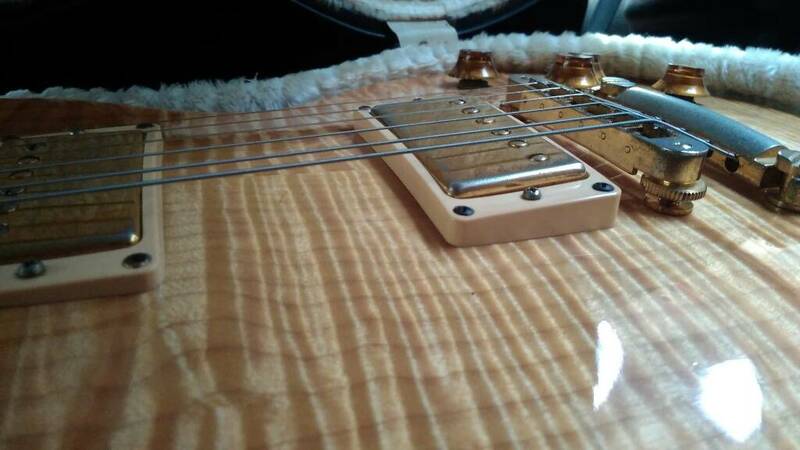 You need to widen the holes for the tuners kung magsswap ka from kluson to kluson-like. 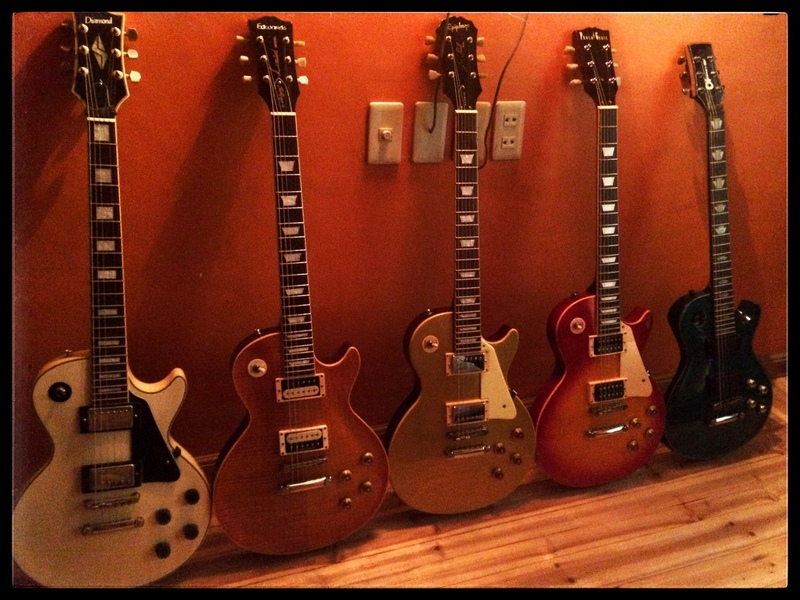 im not sure kung pare parehas lang ba sila ng weight mpa Gibson or Epiphone? regardless where it was made? are there any lighter versions? meron kayang magagaan n mid end to high end na LP?